The new Honda CBR650F was recently spotted at the Buddh International Circuit. The Japanese manufacturer hasn't yet launched the motorcycle in India, but we know that the CBR will be only have five per cent localisation and and expected prices will range from Rs 7-8 lakh. In this price range, it will compete against the Kawasaki Z800, Triumph Street Triple, and Ducati's Monster 821. The Ducati is the newcomer here with 113PS from its 821cc heart. The Triumph makes the lowest power here, drawing only 79.30PS from its 675cc engine. The Honda makes 87PS from its 649cc engine while the Kawasaki also makes 113PS from its four cylinder 806cc engine. Even though the CBR has a displacement disadvantage here, its engine is a four-cylinder like the Z800 and Monster 821 has a twin cylinder as Ducatis tend to do. The Triumph is the only bike with three cylinders. The Ducati has a 17.5-litre fuel tank while the others get 17-litre tanks. All bikes have 6-speed transmissions. The Triumph makes up for its power disadvantage with a low kerb weight of 183kg. The Ducati is next at 205.5kg while the fully faired Honda follows closely at 209kg. 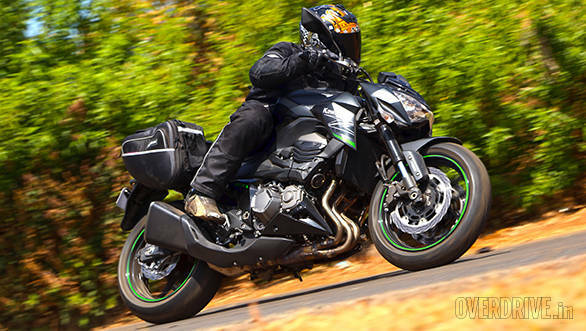 The Kawasaki Z800 is a whopping 26kg heavier than the Monster at 231kg. 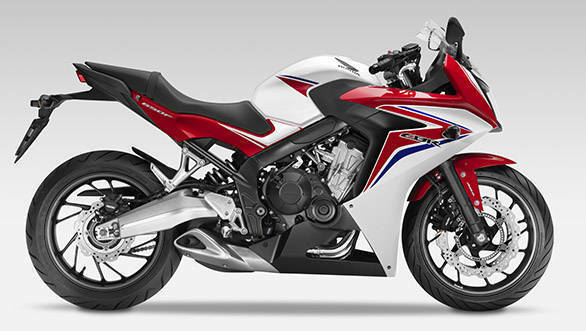 The Honda CBR650F, though, is the only bike here with a full fairing to protect you from the wind blast. The Ducati is the most expensive one of the lot, at Rs 9.59 lakh. The Triumph is priced at Rs 7.91 lakh while the Z800 is for Rs 7.50 lakh. The Honda is expected to fall right in the middle of this pack.